It is mainly used for all kinds of containers, container trucks, or tie the electric cables. The length is usually over 200mm, with pull strength of > 500N. The way to use is to insert the strap to the formation of the ring, as long as the buckle without breaking is not open, to ensure the use of the process of security and confidentiality. 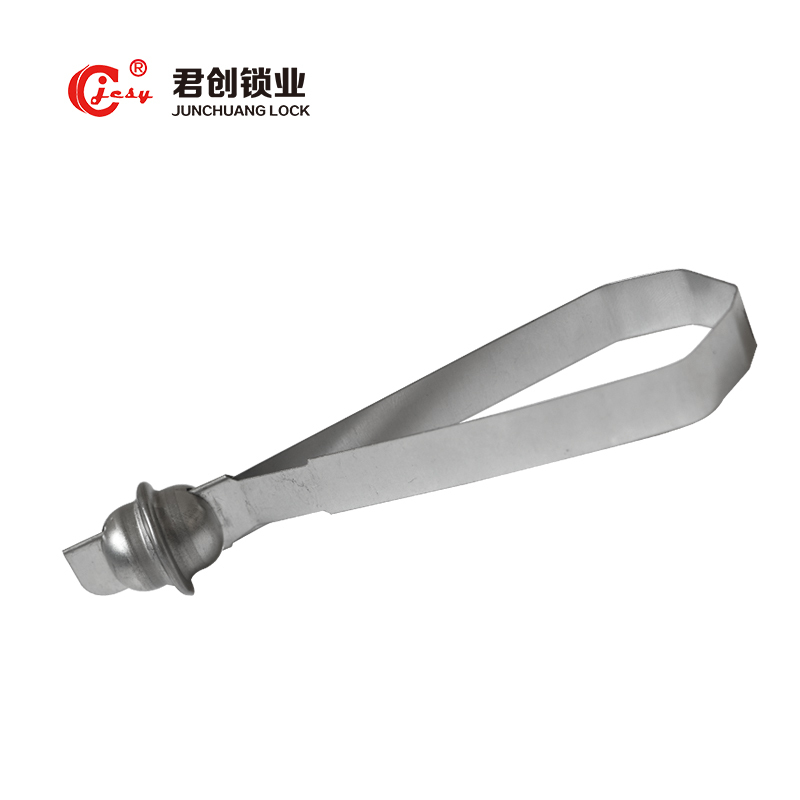 Shandong Junchuang Lock Industry Co., Ltd. is a professional lead seal factory which integrates design, production and exporting sales. We have experience of producing metal strip seal for over 10 years. Other products such as bolt container seal, plastic seal, cable seal, meter seal, plastic padlock, etc. cheap price and so on. It can be imprinted with company name, logo, serial numbers, bar code as customers required.